I've had this primer for a wee while now and have been using it for most of summer, so I thought I would a little review for you. I'm no beauty blogger but I will try my very best at making this an okay, semi - useful review. This primer from Maybelline is supposed to act as a matter primer for under your make up, giving you a smooth working area- which I think it does. It's also supposed to erase your pores, which I am not so sure about. You can buy it from Boots here, and if you're in the states it is really cheap for $5.99 - just click the picture. It's really light on my face, and I think it provides a really good base for my make up. Plus it makes my face super soft - I'm talking baby soft, which is nice! It's really good value for a primer, only £7.99 at Boots (here) and they always have 3 for 2 deals on which is great for these sort of things. The whole erasing of pores just didn't happen for me I'm afraid. I even took before and after shots of my face and there was no visible difference in my pores at all. However the primer was good for sort of smoothing my face out and evening things up a bit. 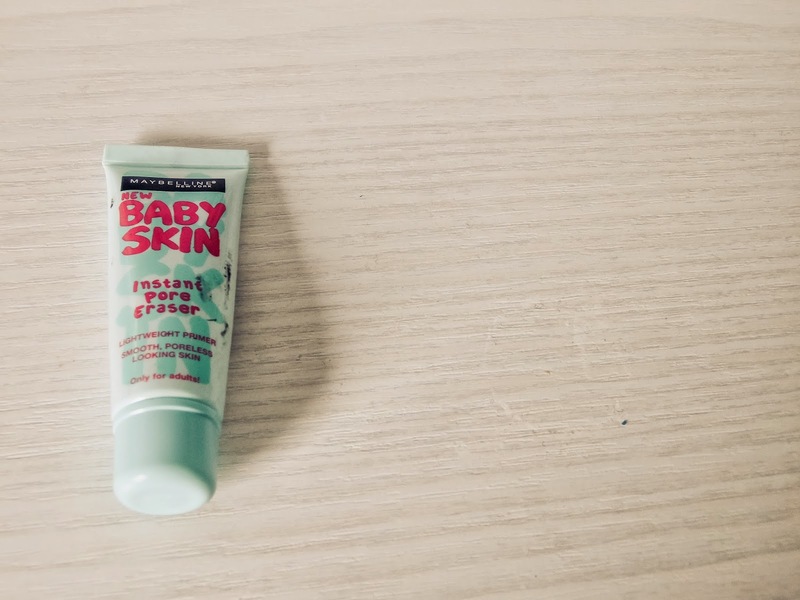 Although this primer isn't the holy grail of primers - okay I don't actually know what is, but I have had a couple of better ones in my time like the Benefit That Gal primer - I do like Baby Skin a lot. It is a good primer and leaves your face really smooth, all it doesn't deliver on is the pore minimising / smoothing aspect. I think I would buy it again, especially if money is a little tight because it is super good value!